Think felt is always soft and fuzzy? Not roofing felt! This black, viscose material is used as a topcoat on many roofs to make them waterproof. It’s also extremely sticky and, if not disposed of properly, it will “stick around” as hazardous waste material. Luckily for residents in Germany, Geocycle has the solution! Roofing felt is a branch of the Construction & Demolition Waste family that’s difficult to sort and treat in a sustainable way. The stream is usually a mixture of old coal tar-based felts (which were banned decades ago due to hazardous content) and new, non-hazardous polymer bitumen-based roofing felts. Very few "traditional" waste management solutions exist for roofing felt: one consists of using it as raw material in street construction and the other requires high-temperature thermal treatment. In light of these limited options, you can’t stop Geocycle from proposing a sound and cost effective alternative. Our teams in Germany worked to expand the range of available treatment solution(s) for this sticky black waste stream in accordance with European waste hierarchy: co-processing! This process allows us to simultaneously recycle its mineral content and recover the material’s energy in our cement plant kilns. How and where does it happen? Our Lägerdorf cement plant in Northern Germany has been co-processing hazardous roofing felts since 2007. After being gathered from a locus of 100 km around Hamburg, the felt is first prepared in a recycling center then transported a mere 40 km to Lägerdorf to be treated in the plant’s cement kilns. Before reaching this final destination, it undergoes a specialized shredding pretreatment process which ensures the fuel material is of appropriate quality for use in our kilns. No need to worry about harmful waste: extraordinarily high temperature and long residence time in the kiln totally destroy hazardous organic compounds and neutralize acid gases. A second cement plant in Dotternhausen co-processes non-hazardous roofing felt waste only, in partnership with two qualified waste management companies. In both locations, co-processing by Geocycle offers a local and practical solution to our partners while reducing their investment by using existing kiln facility. 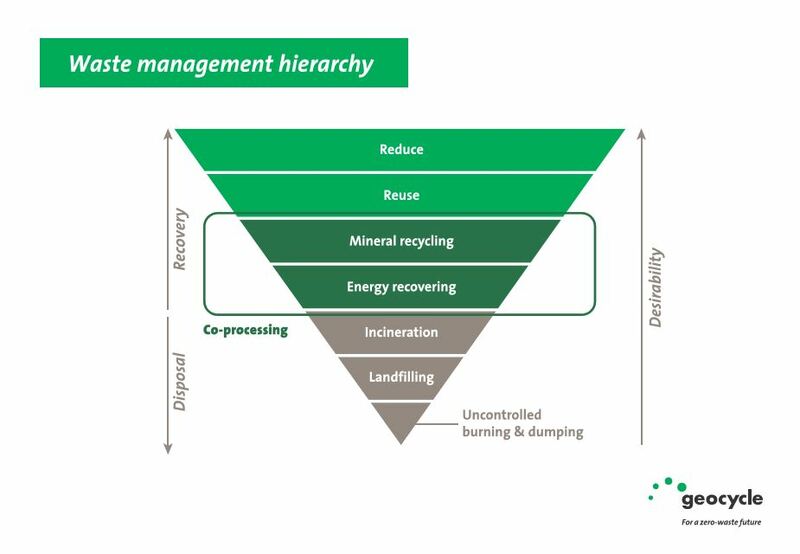 Geocycle provides industry- and sector-specific waste management solutions to 10,000 customers in over 50 countries worldwide. 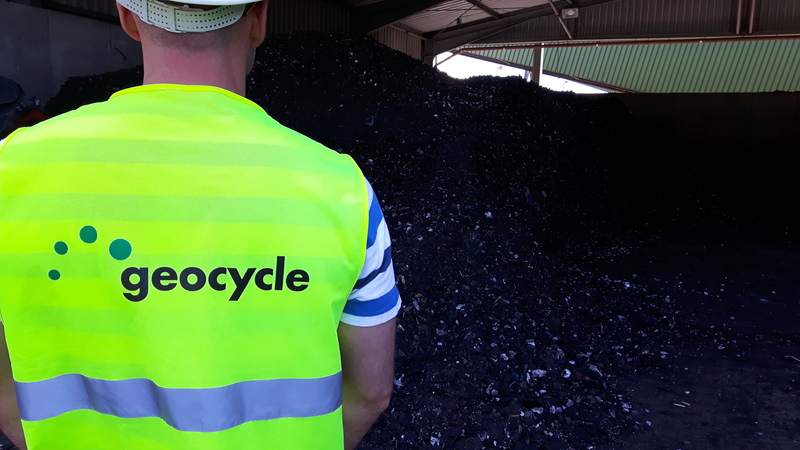 Dedicated Geocycle teams work to the highest safety and environmental standards to allow customers to focus on their core activities, confident in the knowledge that their waste is being managed by world-class experts. 4 main customers deliver roofing felt to Lägerdorf & Dotternhausen cement plants. >1400°C - the temperature at which the waste material is co-processed over a long residence time, allowing the total destruction of all hazardous substances. 100% of material is recycled or recovered in this local and cost-effective solution. 0 residue is produced in the cement manufacturing process. Estimated potential yearly CO2 emissions savings of 26 million tons. Estimated reduced costs for around €12 billion of investments in dedicated waste-to-energy incineration plants.